We work with the manufacturers Earth Contact Products. Earth Contact Products, LLC, is a family-owned company, based in Olathe, Kansas. They are also the industry leaders for the past 13 years. They have developed a nationwide dealer network of over 175 of the best foundation and also waterproofing contractors across North America. This company was built upon ECP’s Steel Underpinning System that has led to the development of many other foundation repair, anchoring, waterproofing, and also underpinning products. Today, ECP has a complete product line of plate anchors, helical anchors, and also piers, and waterproofing solutions. These products provide “The Very Best” solutions to residential, commercial, and also industrial foundation problems. 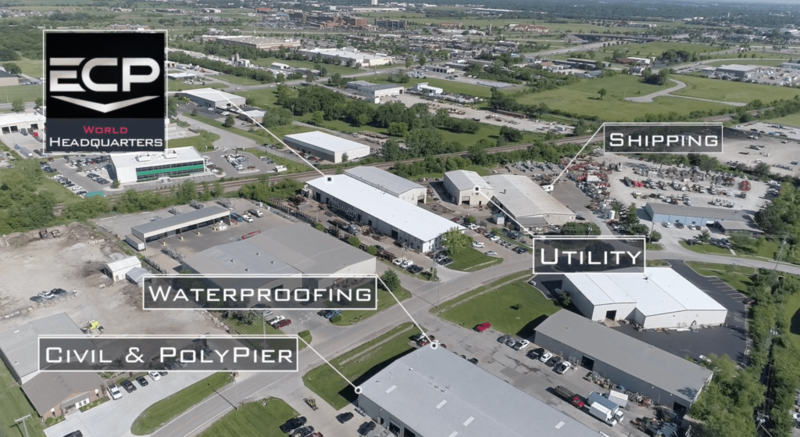 ECP operates out of its 95,000 square feet state of the art fabrication facility in Olathe, KS. This facility also enables ECP to custom configure products to fit engineer-specific foundation projects due to having robotic welding, CNC capabilities, and also certified welders. Earth Contact Products will be “The Very Best” manufacturer in our industry, by providing quality products and services in a timely manner at a competitive price. Credit to Earth Contact Products.